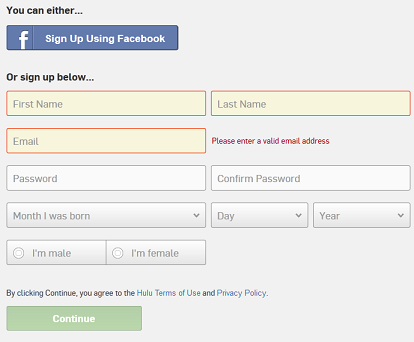 Now, enter your details manually or you link this to your facebook account. 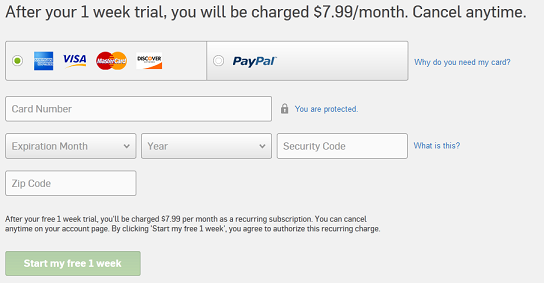 Select your preferred payment method, either via credit card or PayPal. 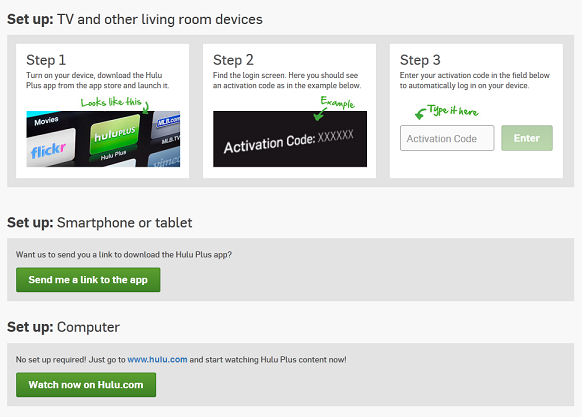 Note: Unfortunately, Hulu only accepts a US PayPal account, if you don't have this, you can still sign up using a valid credit card from any region. However for the zipcode, please ensure you enter a US zipcode. You can refer to the US poscode list here. 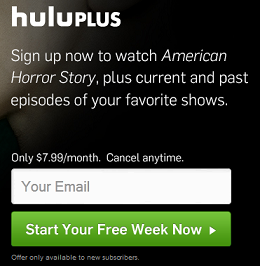 Once your details are verified, you should be greeted with a page confirming your subscription to HuluPlus.